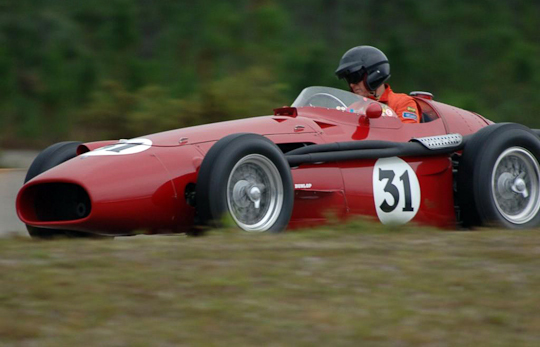 Independent front suspension by double wishbones, De Dion rear axle with parallel trailing arms. 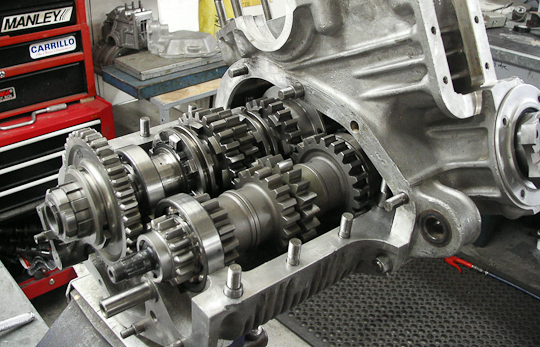 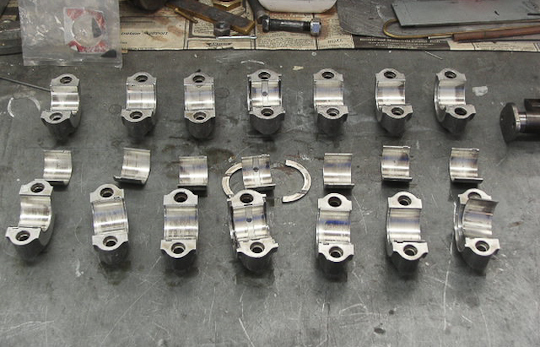 Drum brakes and transverse rear-mounted gearbox. 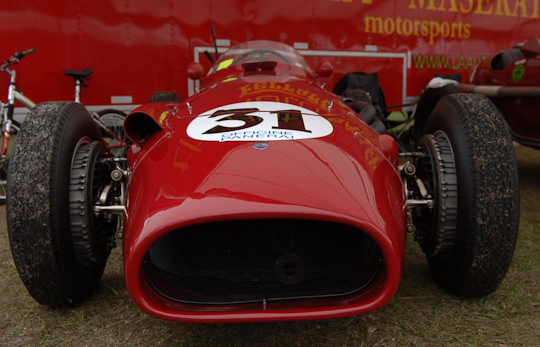 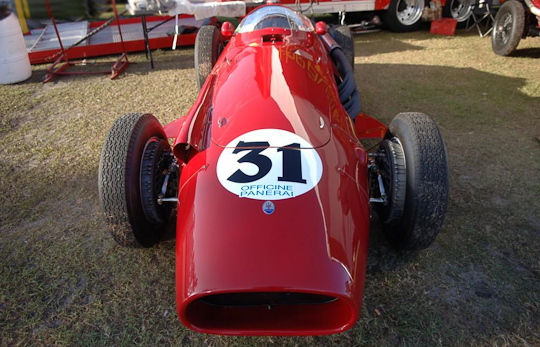 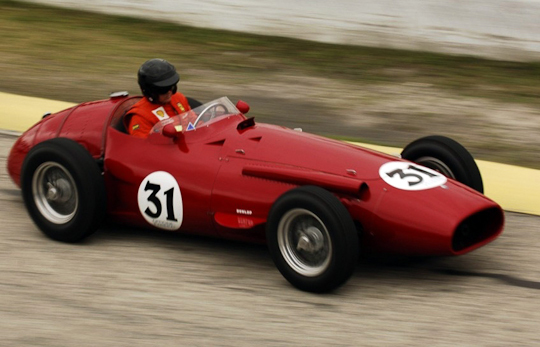 The Maserati 250F raced well for four seasons and delivered 8 championship victories. 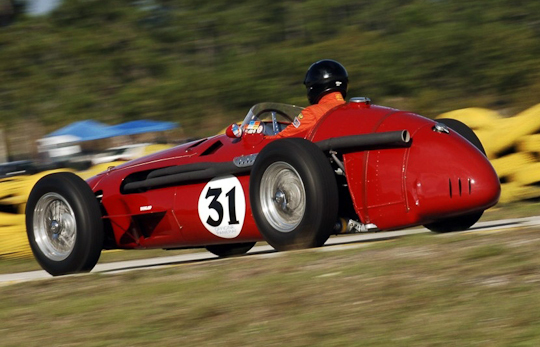 It was one of the last front engined grand prix cars. 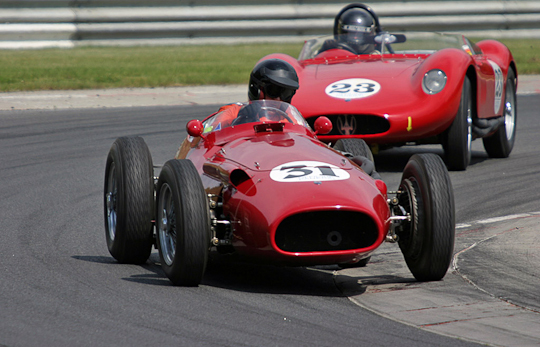 A total of 26 examples were produced from 1954 through 1957. 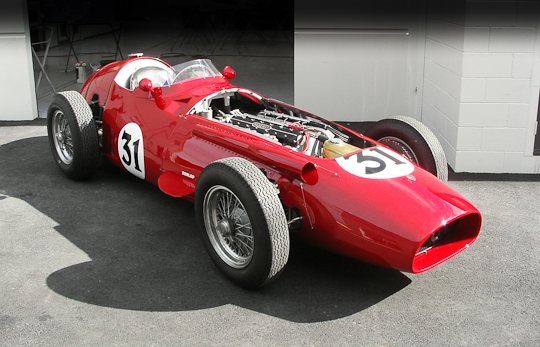 The frame was a multi-tubular design with aluminum body panels. 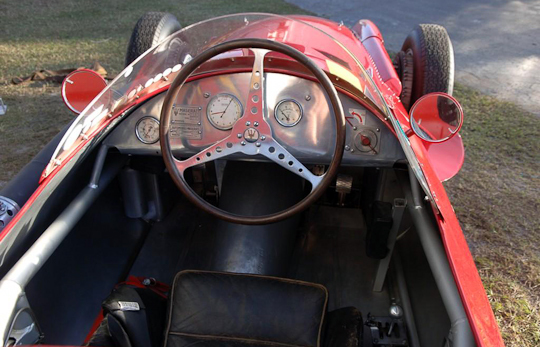 The rear suspension was a DeDion type axle with a transverse leaf spring while the front was independent with coil springs. 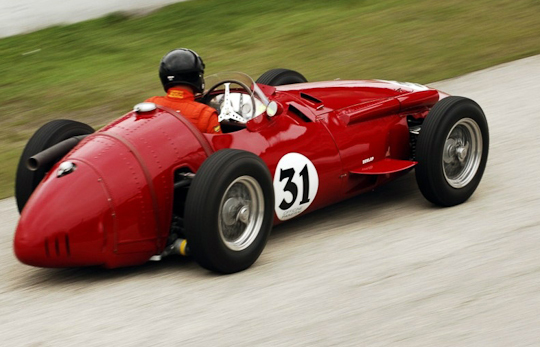 Hydraulic drum brakes were fitted on all four corners, A four (later five) speed manual gearbox transferred power to the rear wheels. 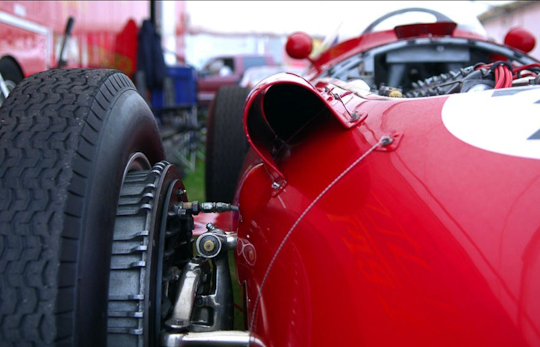 For the 1954 Formula One season, the engine requirements stated that the engines were to be 2.5 litres in capacity and could not use forced induction, or 750 cc in size if supercharged. 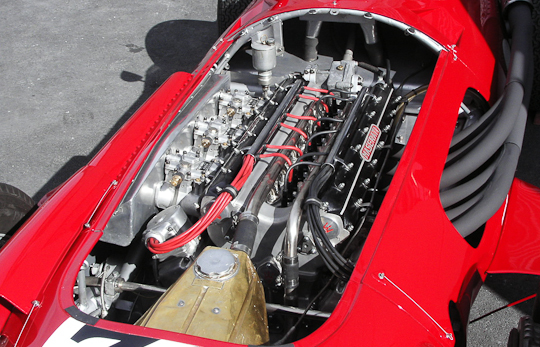 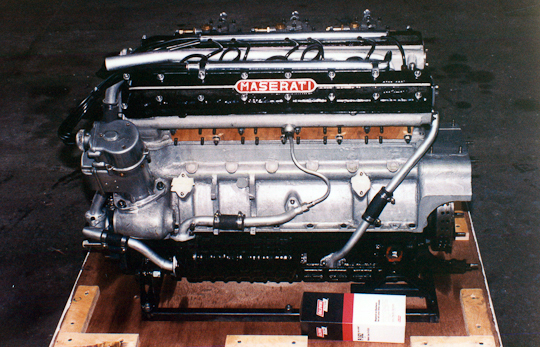 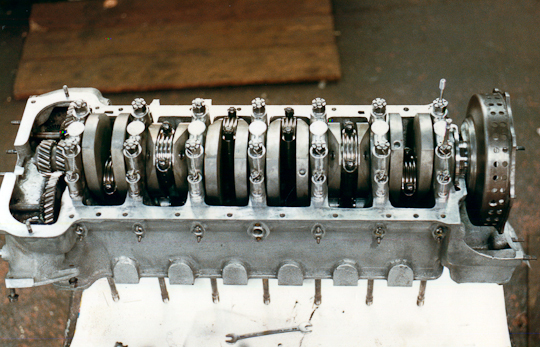 The 250F engine was similar in design to the A6SSG Formula Two engine. 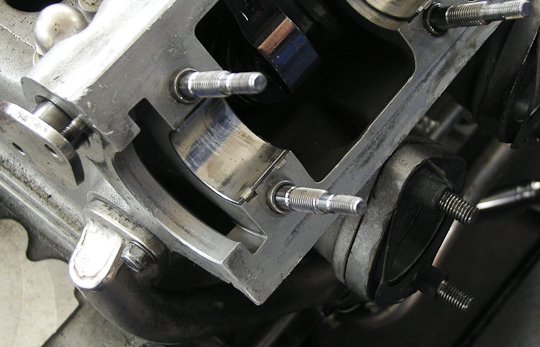 By using three twin-choke Weber carburetors with air-intake horns, more air was able to reach the engine, thus helping the engine breathe and increasing performance. 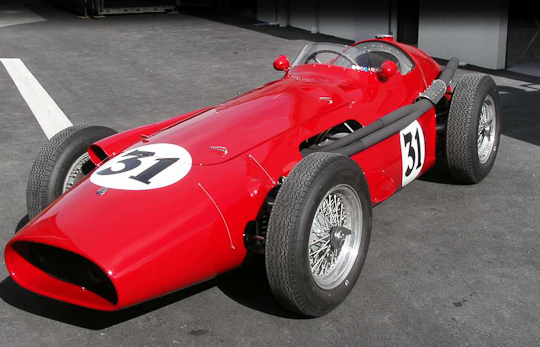 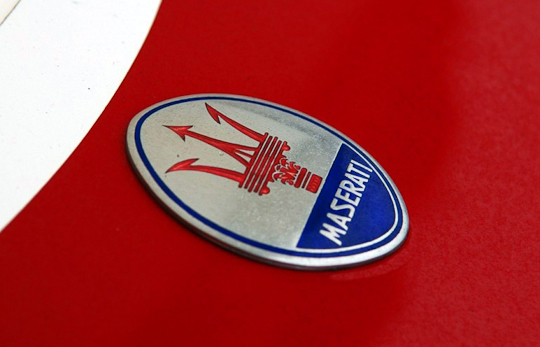 During the inaugural run for the Maserati 250F, the legendary Juan Manuel Fangio emerged victorious. 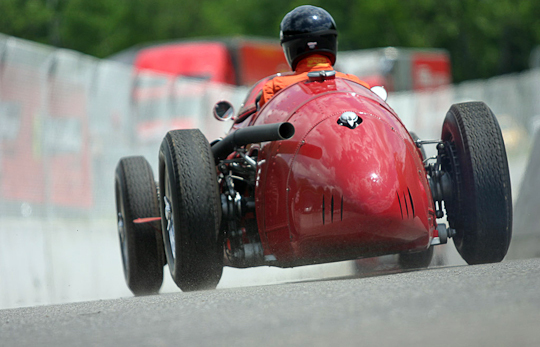 He repeated his performance at its second race. 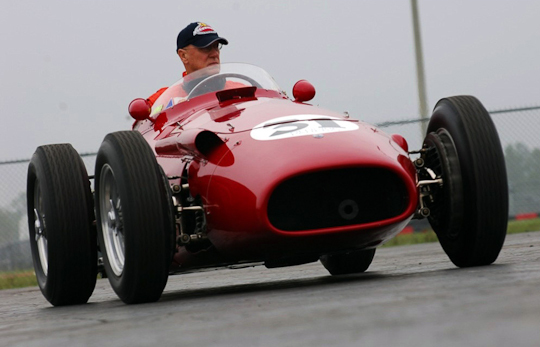 After the race, Fangio left to race for the Mercedes-Benz Grand Prix team, who had just finished assembling their new car. 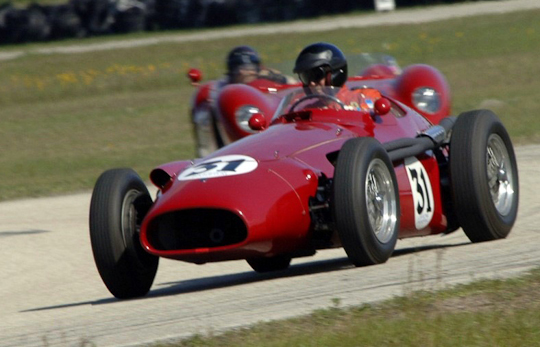 With the high performance Mercedes-Benz cars coupled with two of the greatest drivers of their time, Fangio and Moss, Mercedes-Benz was unstoppable during the 1954 and 1955 seasons. 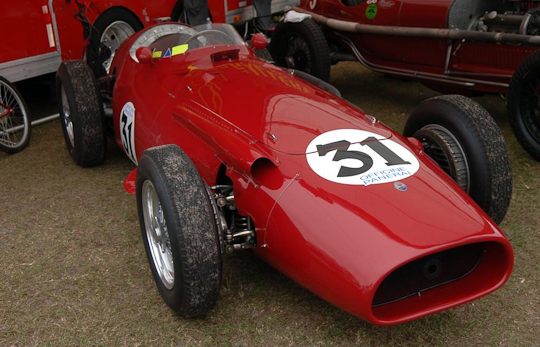 In 1957, Fangio returned to Maserati and once again raced a modified 250F, scoring his fourth and final world title after winning four convincing victories during the season.